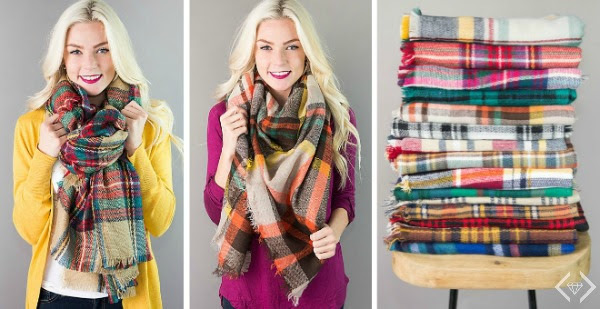 There's no better way to wear it than in the form of a beautiful oversized Plaid Blanket Scarf! Available in wide array of lovely color combinations, and countless ways to style them. Pick out a few for yourself, your sisters, your mom, and your best friend. 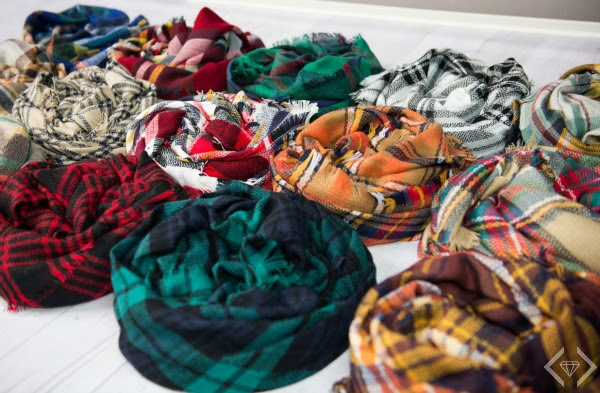 It can be worn in a variety of ways as displayed below and we have also seen it used for fabulous home decor.